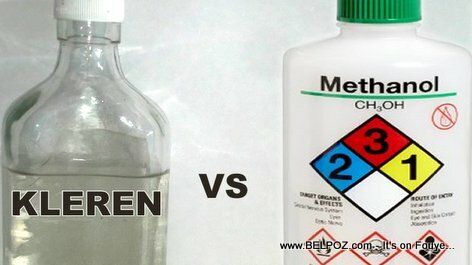 Haiti's commerce minister believes the deadly alcohol killing people in and around Port-au-Prince is METHANOL, not the 'Clairin Local'... Following the deaths of the latest victims in Petit-Gove, Ministre Jude Hervé Day says "the recent deaths are not related to clairin consumption." KREYOL: Haiti Santé - Se PA KLEREN k ap touye moun nan lari a, se METHANOL... Revandè ki ap vann poison saa bay tafyatè yo se yon CRIME y ap komèt... Declaration Ministre Comerce Jude Herve Day... Kisa ou panse de sa??? Since the mid to late February news spread of a deadly moonshine (Clairin) out there killing people instantly. Victims of this potent solution go blind before dying within hours of consumption. Minister Hervé Day maintains that some vendors are selling a poisonous solution to the public and this is a criminal act.